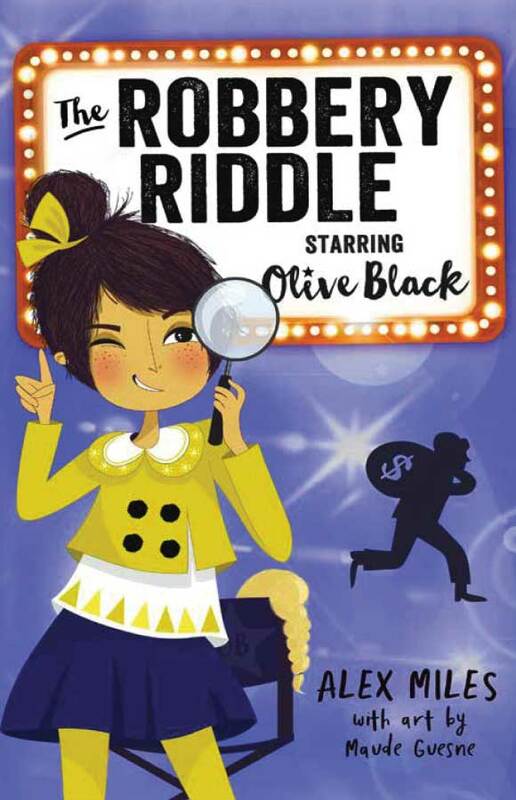 For her latest movie, Olive plays sidekick to the world’s favourite film detective in The Robbery Riddle. On screen there’s action, drama and mystery, but it’s a real-life robbery that puts Olive’s sleuthing skills to the test. Soon she’s got a brilliant plan to catch the theif, but everyone’s a suspect – even Olive! Working with detective-partner and best friend Rani, can she find the culprit and clear her name? Or is this detective business trickier than it looks? The ‘who-dun-it’ genre is my absolute favourite film genre of all time. So I felt very nervous writing this one. I wanted to make sure I used all the detective tricks I’d learnt after years of watching mystery movies. My favourite are by Agatha Christie. She’s an amazing writer who’s written a gazillion books, many of which have been made into movies. Miss Marple and Hercule Poirot are my two favourite of all of her characters. My publisher Affirm Press and I want to help all Australian kids experience the joy of reading and are proud to announce a partnership with Dymocks Children’s Charities. For every one of our books that sells through Dymocks, Affirm Press will donate $1 to the charity which aims to help disadvantaged children throughout Australia access and enjoy great Australian stories.